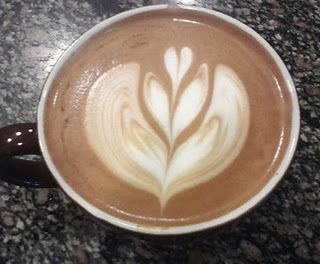 Blue State Coffee Latte Throwdowns: Winner - Round 29! Congratulations to our fearless leader and founder of Blue State Coffee for claiming the latte art title this round. Drew Ruben took top honors with his lovely spring tulip.